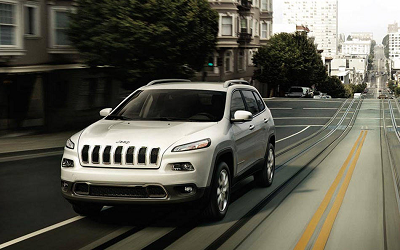 In the compact-crossover SUV market, nothing quite compares to the versatile 2016 Jeep Cherokee in El Paso. Though rivals in its class boast premium features, only the 2016 Cherokee offers true off-road capabilities. Whether tackling moderate, off-road terrain or crawling the vehicle through melon-sized rocks, chuckholes, mudholes and inclines, you can count on the Cherokee to do its job. Incorporating a suite of enabling features, the 2016 Cherokee from an El Paso Jeep dealership covers your back. Posted on November 12, 2016 by CedrickPosted in BusinessTagged 2016, cherokee, dealerships, jeep, paso.